The tall green stems and perfectly formed bracts are what make these flowers truly special. Our silk lily bunch will not only last longer than fresh lilies, but they wil also mean that you don't have to worry about cleaning up any pollen. 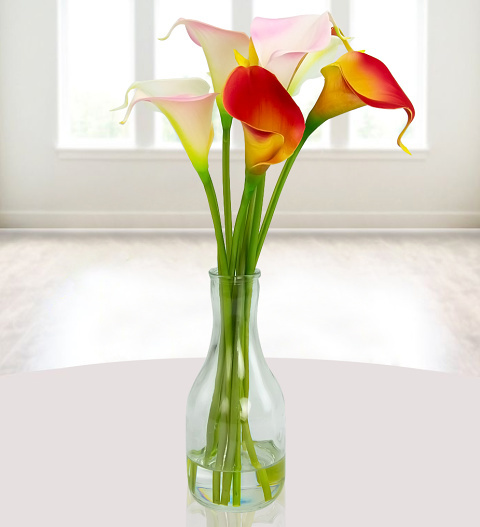 Send these lovely lilies to any lucky recipient for any occasion and make their day that much happier.